The allure of Triangle Cricket Club can be reached by winding your way down a hill that puts you the summit of a rollercoaster; before plunging over, down, left and right through the village to the aptly named Grassy Bottom. 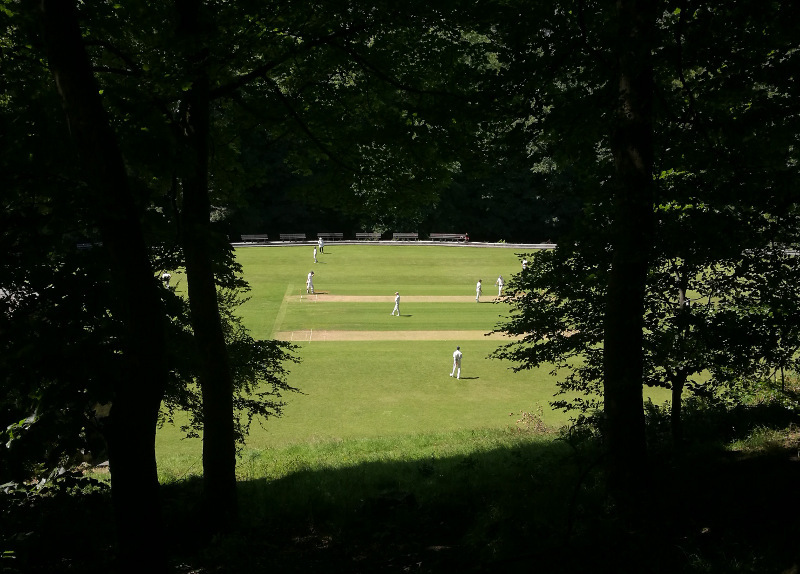 Parking requires creative thinking and as we did a seven-point turn, glimpses of the cricket match down below could be snatched through the trees. To the left of a stone house called Keeper’s cottage is the entrance to the ground and it is as if you are thrust on to the pitch immediately to field at fine leg. It must be one of Yorkshire’s smaller cricket grounds and the location is arresting. There’s the babbling soundtrack from the River Ryburn with only the benches dotted along that flank this side behind spectators and the cricket ball is sent into the water a few times in the relatively short time we were there. My companion drily noted: “If you got rid of dogs, it would be the end of cricket…” as an observation of how man’s best friend is an integral part of passing traffic at any cricket ground. Triangle were batting and finding the going tough given heavy rain this past week after a dry few months had injected further life into the wicket. “Keep going pal….that were nice, were that!” Words of support given after two straight drives are clumped into the stream off successive balls. I have played on or spectated at many postage stamps across Yorkshire but to give you an idea, a batsman miscued a delivery through the gully region for six very comfortable runs. Tipping up at grounds like this are why I started Cricket Yorkshire and it promoted a stream of consciousness on Cricket Yorkshire’s Facebook page when I had replies and other ground suggestions after posting a picture. I imagine relocating the ball from the river is regular work and children had a fishing net to hand and would frequently splosh merrily away. It is a fine, sunny day at a scenic spot that would delight any cricket fan but the game itself provided reason for cheer even as a neutral. We had a hat-trick ball where the bowler overstepped and it was called as a ‘no-ball’ and a disputed edge to the keeper where the batsman stood his ground and was given not out. Triangle were to manage 131 against Thornton; difficult to defend when edges and mistimed strokes would still run for four. The hosts lost a few wickets while we were there and a new batsman would clatter down the steps then jump down onto the outfield as the grassy lozenge-shaped HQ was lower down. As a consequence, there’s a sense of amphitheatre about Triangle; partly as it’s fully enclosed by trees and vegetation on either side as if nature is keeping this cricketing secret den to itself. Inside, the clubhouse has squad photos from down the years and history it certainly has. Triangle CC (est. 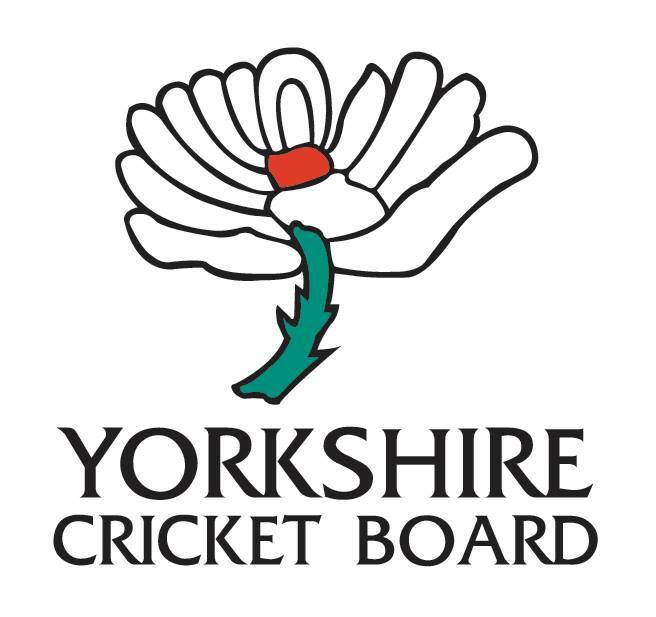 1862) pre-dates the formation of Yorkshire County Cricket Club by a year and is a founder member of the Halifax Cricket League. This is not just a cricket clubhouse but a working mens’ club and a gentleman sups a pint at the bar while another bloke stares out the window and occasionally chimes up about so-and-so’s batting. The lights of the fruit machine flash away and promise untold riches. The extension houses a snooker (or was it pool?) table with Sky Sports on and a lone, leather cricket holdall sits on the floor. 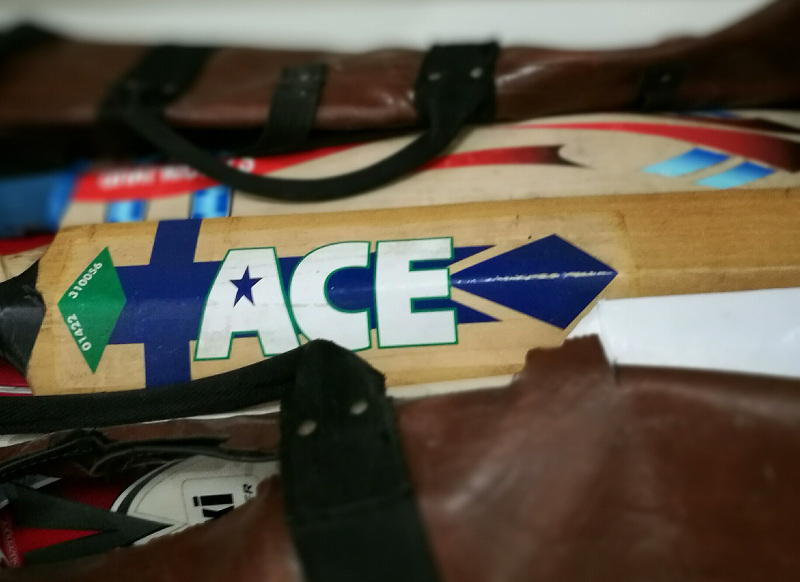 There’s an Ace cricket bat peeking out for those of you who recall the brand owned by Alf Evans and run from Elland once upon a time. This is a club ground you would all surely appreciate…and if you can get along sometime, it is well worth a visit. It was a spur-of-the-moment decision to go, based on past recommendations and somewhere not too far from Bradford where I was speaking at Bradford Literature Festival. As the players topped up on orange squash, we didn’t hang about and moved on to Stones up top on Ripponden Old Lane with terrific views. 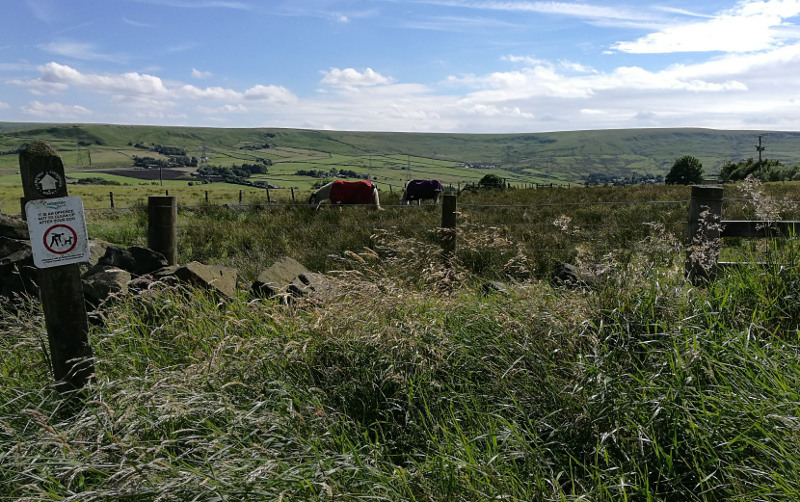 The journey there won’t be hard to forget as we slowed to allow a grouse and a brood of chicks to find their way to safety and into the tall grass. 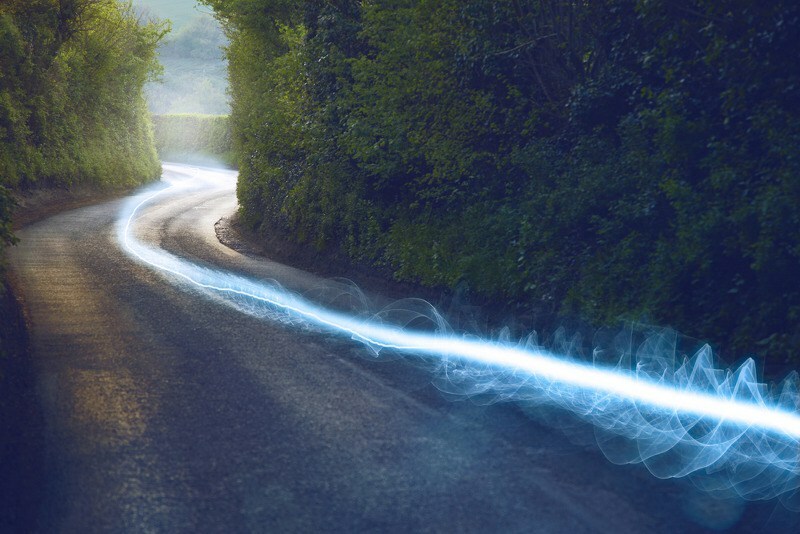 Further up, a man walked right in the middle of the road (albeit these are not five-lane motorways up here) and was surprised when he took his white earphones out and saw two passengers in a car shaking their heads and smiling at him. We didn’t stay long at Stones (being as it was a low-scoring game with Blackley well on their way to an eight-wicket win). Just time to sit on the bench with a mug of tea and let the wind rattle the teeth for a time. Barkisland are in the Drakes Huddersfield Cricket League and as we parked up alongside the village church, there was evidence of a wedding; not least the fact that two guests (or the bride and groom) were sat at a picnic table at the cricket ground watching the game. It’s another ground with character from the gazebo that reminded me of one of those T20 plastic bunkers where the players sit except better in that it was constructed with wood preferred to shaped plastic. 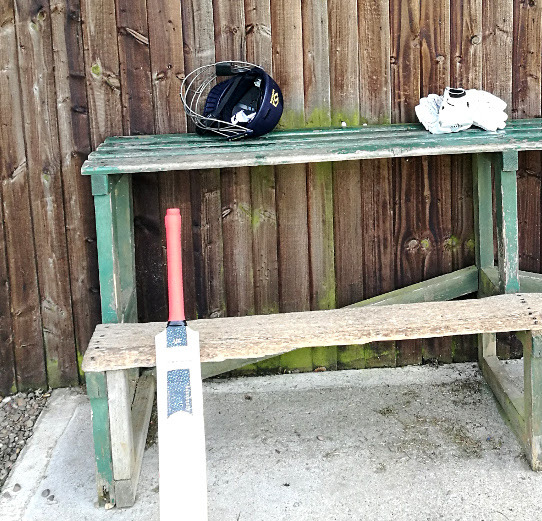 If you watch club cricket around Yorkshire, particularly in the Halifax League, stonewashed walls and benches around the edge of the cricket club are commonplace and add to its charm. A deft flick off the legs for four past past square leg would be stopped by the wall lined with advertising boards. We stood, contentedly in silence, to take in a few overs and the swifts did mesmeric laps above us, coming ever closer, darting, arching and dancing in the wind to such an extent, they tore my attention from the cricket as half a dozen or so put on an air display. At the last few metres of our lap, we met a man whose father and grandfather were batting out in the middle for Barkisland. The young lad was the U13 Yorkshire captain and right on cue, he climbed into a delivery with some width and majestically punched the ball along the turf for four. Greetland was also a brief pitstop; most memorable for the fact that a woman danced vigorously and waved from a balcony in a building some way away as music blared loud enough to wrinkle our eyebrows in disapproval. Just not cricket. The star of the show, however, had been Triangle Cricket Club. People have been saying for years: “You must get to Triangle!” Well, now I have and can understand what all the fuss is about. 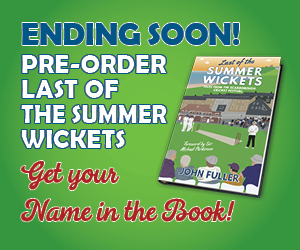 Best of luck to all the clubs mentioned in the article (however briefly) and if this particular Saturday afternoon taught me anything, it’s that it shouldn’t be another few years before I get back to the Halifax Cricket League. PLEASE SHARE THIS ARTICLE BELOW! If you liked being transported to Triangle CC, learnt something or were entertained, please share this article using the Facebook and Twitter button below. 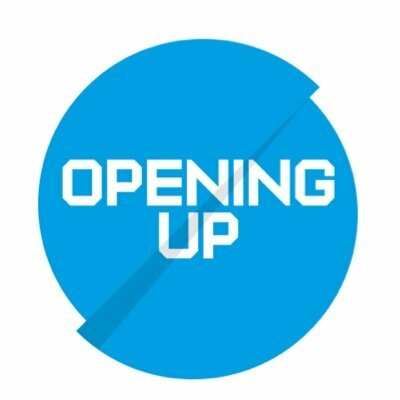 It all helps spread the word about Cricket Yorkshire’s articles to your friends who might like to come and have a look.